Although The CW’s Arrowverse has name-dropped Batman on several occasions, Bruce Wayne has yet to make an appearance within the shared universe. This year’s Elseworlds crossover seemed like it would have been the ideal time to bring Batman into the fold. After all, the storyline kicks off with a mysterious incident at Arkham Asylum, which has been known to house Batman’s deadliest enemies. But alas, the Dark Knight is confirmed to be sitting this one out. In an interview with Entertainment Weekly, consulting producer Caroline Dries explained why. In Batman’s stead, Ruby Rose’s Batwoman will make her Arrowverse debut during the crossover to provide aid to Green Arrow, The Flash and Supergirl. If all goes as planned, the character will get her own series in 2019. Batwoman’s potential show will be written and executive produced by Dries. 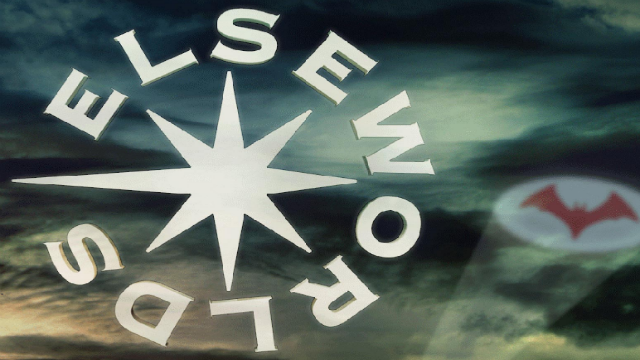 Elseworlds begins on Sunday, December 9 with an episode of The Flash. What do you think about the Arrowverse’s take on Batman? Give us your impressions in the comment section below!